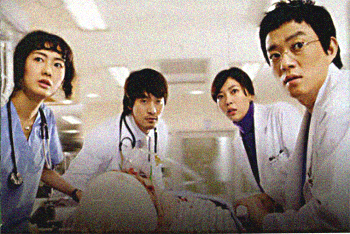 A 16-episode drama that was extended to 18 episodes due to its high ratings. Apparently, it is very loosely inspired by the US tv show Grey’s Anatomy, based on its plotline (surgical interns in a prestigious hospital) and character setup (a female surgeon as the protagonist). I say “loosely” because Surgeon Bong Dal Hee is a much better show, with alot more heart and likeable characters compared to Grey’s Anatomy. Initially, I wasn’t going to follow this drama because the only cast member that I like and am familiar with is Oh Yoon Ah. However, my subbing teammates were gushing over it so I decided to check it out since I trust their tastes. And now more than halfway through the series, boy, am I glad that I did because I love this show! As depressing as it was, I’m glad that the writer followed up on that particular subplot because it was very touching and also because the situation and its aftermath gave Dal Hee a chance to reflect and re-evaluate why she wants to be a doctor so badly, despite her poor health condition and her mom’s objection. I’m on ep. 12 right now and my heart goes out to Dr. Ahn (Lee Bum Soo). Okay, so he screams at people most of the time but once you get to know him, you’ll see that he’s caring and devoted. And of course, he’s a great surgeon, knowledge-wise and human compasion-wise. I like the romantic pairings in here, as well. The supporting cast is also likeable, especially Dr. Park, who cracks me up in almost every scene. If you’re looking for something good to watch, give this one a try.